I was pleasantly surprised at how good these meatballs really were. I know adding onion soup mix to things can really bump up the flavor, but in this case I wasn't sure how the oats would overtake the whole recipe. I had a bad experience with an oat-y meatloaf in the past. These meatballs, though, I would make again and I would definitely recommend trying them. Even though you can see the oats, and they oddly look like no-bake cookies, they don't taste weird at all! This recipe does not suggest how to serve the meatballs, but I made them a day ahead of time and warmed them in a brown gravy the next day. The gravy I used was from a packet. I do like scratch gravy but I didn't do it this time. I would suggest two packets if you want to serve it this way. One was not quite enough. Then I served it over rice with a side of roasted vegetables. It was a very delicious meal! As a side note, I'd like to do a post soon on making your own onion soup mix. I don't have a recipe I use right now, but I'll be on the hunt and do a review sometime soon. 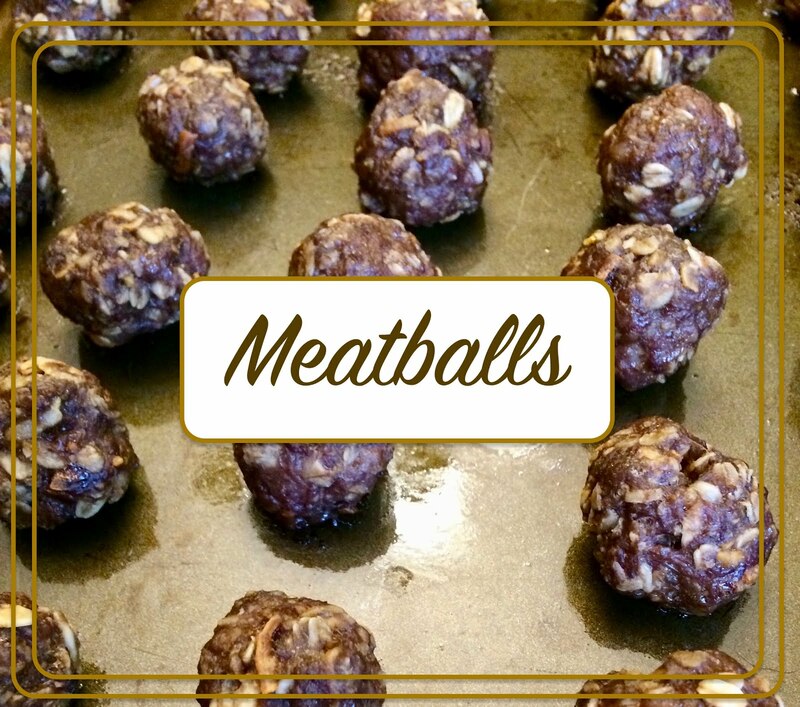 Mix all ingredients and form into 42 1-inch balls, measuring approximately 1 tablespoon each. Bake at 350 degrees for 15 minutes.